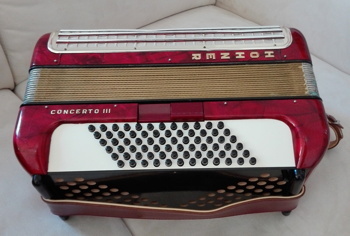 Custom made for for owner in 2012 and ordered through Castiglione Accordions in Warren, Michigan. 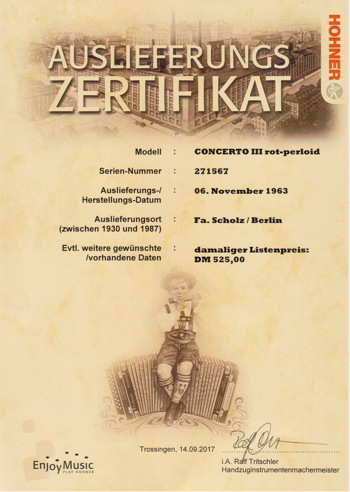 Played at home and in church orchestra only. Pristine condition, excellent compression, beautiful sounds including wet and dry musettes. 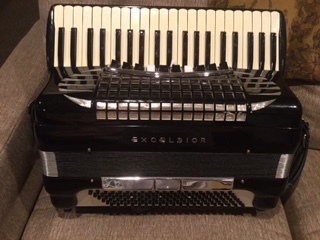 Bought new from Castiglione Accordions in Warren, Michigan in January 2016. Cherry wood with red accents. Red velvet straps with tooled leather. Padded Cordura fabric gig bag with zippered pocket and padded straps. Never really played. Weight 9.6 pounds. 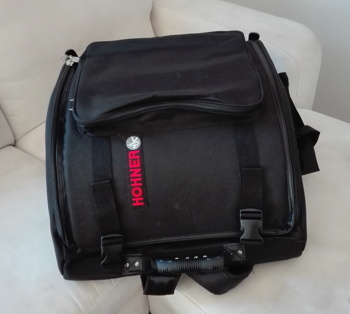 The Hohner backpack-style gig bag/carry case is brand new, just bought it last week, and is itself worth just over €100. I am asking US$800, including insured shipping to the US (I live in Germany). For shipping to other destinations, contact me first. Built from aged Walnut wood, G-C keyboard (42 full-size keys, 120 bass, double-tone chamber) LMMH with LM in chamber/cassotto (bionic reeds). 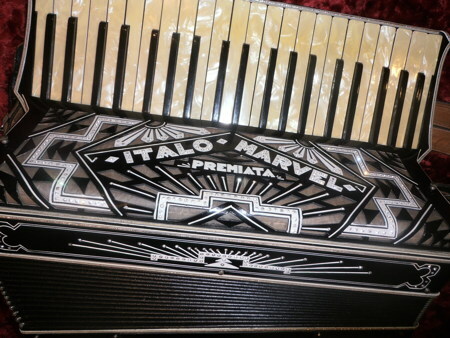 Comes with a set of LLMM reeds, with LM still in chamber/cassotto, to convert it to a jazz instrument. 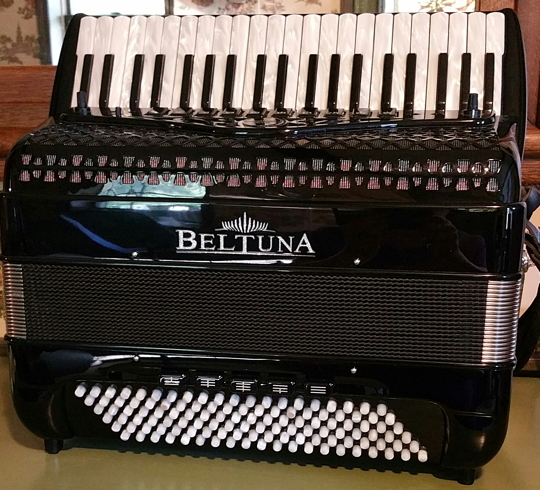 The Castiglione Accordion Company in Warren, MI is looking for either an experienced tuner and accordion repairman or a person who knows how to play the accordion and who wants to learn how to tune and repair accordions. 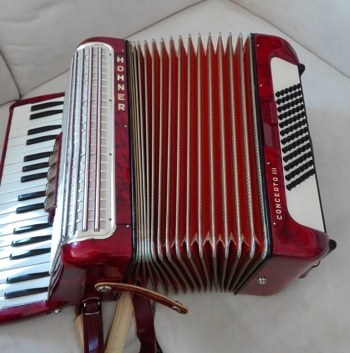 Two accordions for sale....both in pristine condition. 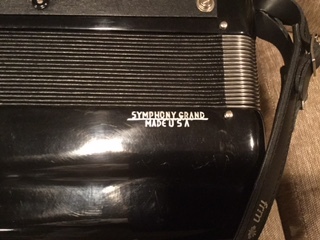 The Sonola is the model SS-5 Symphony Hall Baby Grand with 41 treble keys on 17 7/8” keyboard. (3/4 size) 120 bass. 6 treble shifts and 3 bass shifts with 3 treble and 4 bass reed sets. 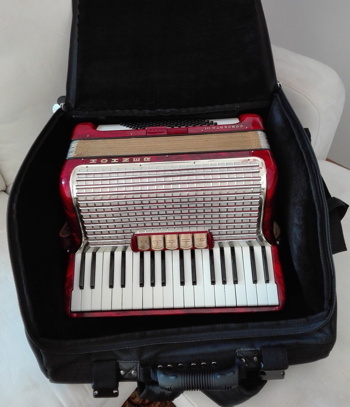 Light 18 1/2# strolling accordion. The Universal is full size with 4/5 set of hand made reeds. 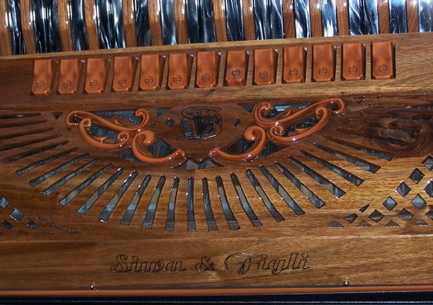 9 Treble and 1 bass register. “Beveled” keyboard. 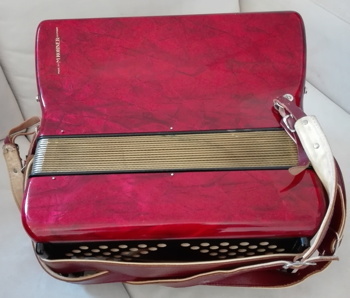 Gretsch La Tosca 120 button bass accordion. 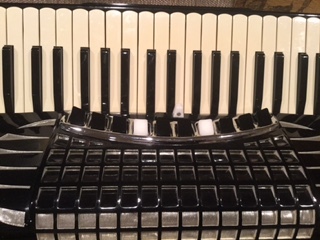 This instrument has been in our family since it was purchased in the 1960's. 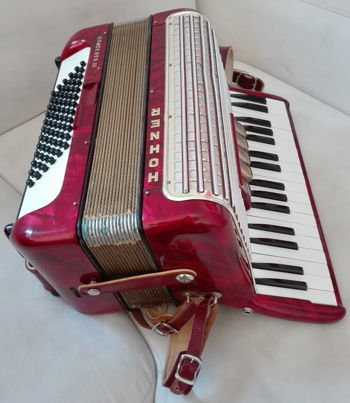 It plays well and is in excellent shape. Asking $ 450.00. 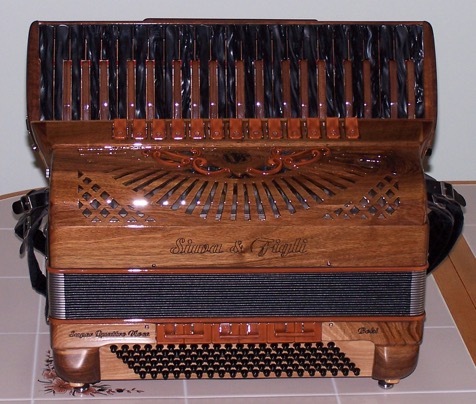 Jan Blacha, a new MAS member, is a Polish folk singer from Krakow currently living in Michigan. 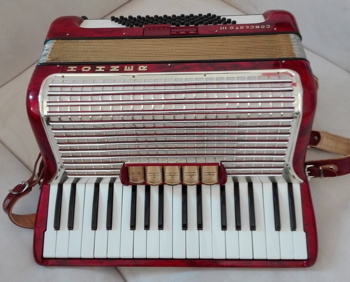 He is auditioning for a Polka house band during the month of January (2012) to perform on Saturday nights. 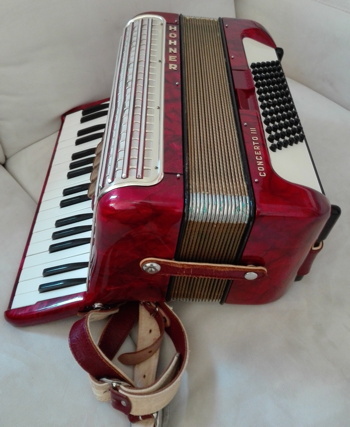 Jan is looking for a singer, accordionist, horn and drummer. Includes case but no shoulder straps. 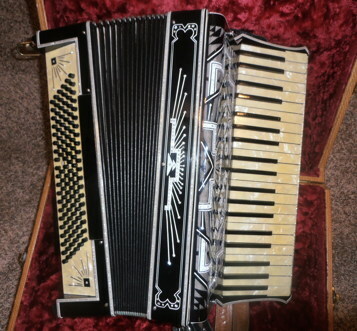 Seller lives in Kalamazoo, Mi.